In today’s world we are a busy bunch of swarming bees. We don’t have time for lengthy encounters with others who simply want to waste our time. Those people often come to us via the telephone. Who among us actually participate in phone surveys? Most of the time I don’t, but every once in awhile I’m in a generous mood and answer the poor telemarketers questions. Nine times out of ten they want to sell me something. What do they have to do to catch my attention, to make me stay on the line? They need to tell me something right off the bat that makes me want to listen. Something in their first few words must appeal to me. Do you think they want to stand for an hour listening as I recite a chapter-by-chapter account? No. They. Do. Not! You should be able to pitch your product in less than two minutes. That’s where the term, elevator pitch came from. Your listener should be sold in the amount of time it would take to travel a couple of floors with them in an elevator. I admit when I was new at this game I didn’t have a clue, but over a period of time I began to understand that less is better. I started thinking about single words that would summarize my story. For instance: Guardian Spirit is filled with Native American themes, so I ask the potential book buyer if they like stories about Indians and their culture? You’d be surprised at how many are hooked by this single question. Or I might tell them that the story is set in a nearby town, or a special place of interest to them. 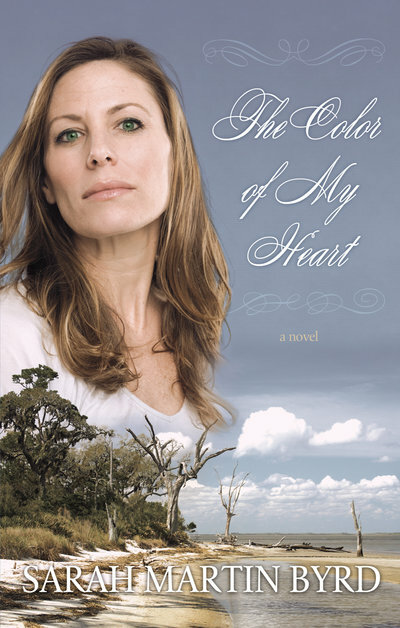 With the upcoming launch of my next novel, The Color of My Heart I’ve started wondering about my pitch for it. What will it take to draw the reader in and close the sell? First of all I must catch their attention. A really good cover is the first step, then it’s all about the content that lies between that front and back cover. It will probably take time to critique the perfect technique to pitch this new novel, but let me try: Would you like to know what happened to the captives of the last slave ship that landed at Jekyll Island? And feel the pain of the souls aboard who were rationed only moldy bread and warm water for six entire weeks? Will the description of a baby’s toes that have been gnawed off by a rat appall you? Will you feel a kinsmanship with the strong lady who sleeps every night with her little girl’s toes tucked between her legs so the same thing will not happen to her child? And then what happens to Lucia and her daughter, Zessia once they’ve landed in America? Hope I’ve captured your attention. The Color of My Heart is due to arrive on my doorstep November 2nd. Hopefully my pitch has captivated you and you are anxiously waiting to read the rest of the story. An excerpt from, The Color of My Heart. My little Zessia is waking up. I’m not sure I slept at all last night. But that isn’t anything new. Most nights by the time little Zessia has been asleep for a few hours, my body feels the need to stretch and unfold from this ball I’m always curled up in. But I don’t dare leave little Zessia’s fingers and toes out in the open for the rats to have for supper. No, I’ll be fine. I can stand anything as long as Zessia is not harmed. The uncertainty of what will happen to us now that we have landed in this new world is twirling in my head. My mind is as the monsoons that whirl in my homeland of Africa. Will I be separated from my baby? Will they find out she is a girl? And then what will they do? I know what will happen, for I’ve seen the shape some of the other children have been in when the mean men throw them back down into the pit of the ship. I know all right, and I will die before I will let that happen to my Zessia. Previous post: Have You Ever Really Been Hungry? Next post: Strike Out, or Home Run?